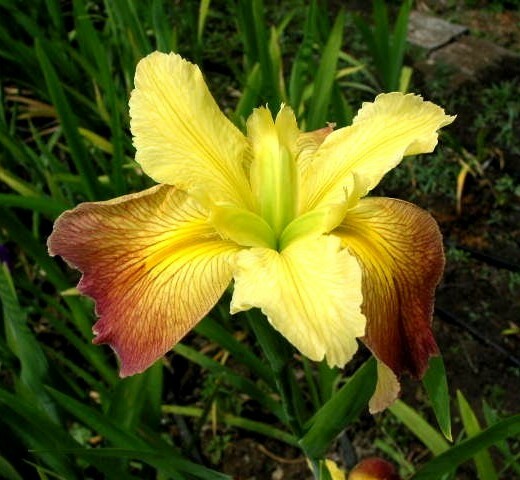 'Southerner' ( Joseph Ghio, R. 1981) Seedling LU-272C. LA, 36" (91 cm), Midseason bloom. Standards ocher gold; Falls gold, washed rusty red, deepening at edge; yellow signal. 'Charlie's Karen' X 'Cajun Caper'. Bay View Gardens 1983.